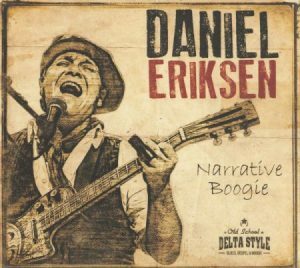 Daniel Eriksen is an acoustic slide guitarist who’s spent plenty of time in Mississippi to study the masters and perfect his sound, so much so, in fact, that he was runner-up to Kevin “B.F.” Burt at this year’s International Blues Challenge. Even though he’s based out of Langesund, Norway, where he was born, Eriksen possesses a genuine Delta feel, which he delivers through a unique sound. 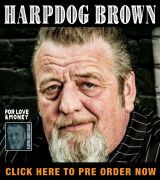 A 20-year veteran of the international blues circuit, he spent years studying the techniques of first-generation masters Blind Willie Johnson, Mississippi John Hurt and others. But he developed a technique that’s all his own through sitting at the feet of several modern masters, including Roy Rogers, John Mooney and the late Bob Brozman, the world-traveling author and ethnomusicologist who spent his life working to find a common thread among the world’s varied musical cultures. This is the fourth CD in Daniel’s catalog, following the New Orleans-flavored Ya Ya and Muddy Days and the gospel-rich Moonshine Hymns, all of which received high praise. The inspiration for this one comes from his extensive travels around the Magnolia State and includes contributions from musicians from both sides of the Atlantic. A cover of Mississippi Fred McDowell’s “Kokomo” kicks off the action with Daniel delivering the standard atop with a pronounced electric Delta feel and his warm, rough-edged baritone delivering the lyrics in perfectly unaccented English. His slide stylings amplify the percussive beat. A bare-bones version of Son House’s “Pearline” follows before a run of three originals. The funky “Lula Looks Dangerous” sweetly describes a woman with “that look in her eye,” accompanied by equally sweet picking, while “Refugee Camp Moan” is unhurried lyrically, but rapid-fire everywhere else. Featuring Abel on second guitar, “Footprints” is a plea for a father to stay and tell stories instead of packing up to go. Available through CDBaby and several other online outlets, this CD is nominated for a 2018 Blues Blast Music Award. 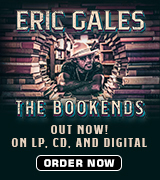 If your tastes run to acoustic country blues, you’ll love this one. The spirit flows through it strong and deep.